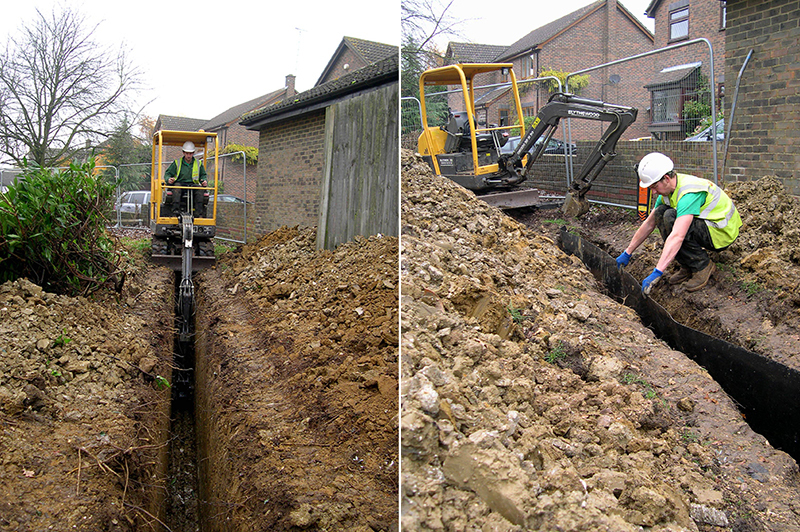 Sometimes we get asked to carry out projects which are quite unusual. 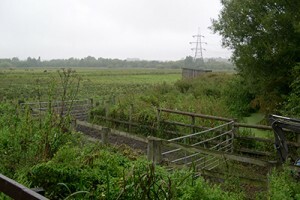 One such project was to build a corral (holding pen) for water buffalo and wild ponies at Rye Meads Nature Reserve. 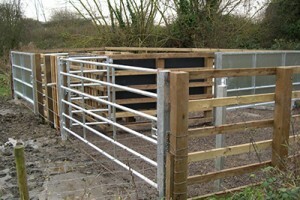 The corral is used to take the animals on and off the nature reserve in a safe and controlled manner and for creating a safe holding place for a vet inspection point. This was a really interesting and challenging project to carry out as the nature reserve is a wetland. 3.6m 6inch square timbers were used as the posts which were knocked in the ground by 1.8m (6ft) to provide the vertical supports on to which the horizontal rails were fixed. This was exceptionally difficult as the posts had to be in exactly the right position to enable the gates to hang at the correct angles to work effectively and close securely. The 2ft of mud made the ground conditions very tricky! The corral has proved to be very successful in managing the animals at the reserve.